Waste disposal and management is a way of life. It is every household and authority’s responsibility. Waste management, in simple terms, is the collection, transport, processing, and recycling or disposing of waste materials. Waste materials are basically the materials produced by human activities that are no longer for use and consumption. Throughout the years, waste disposal management has evolved and is continuing to evolve, catering to individual preferences and way of living. From thermal burning, to segregating the biodegradable waste, to the non-biodegradable ones, and recycling and upcycling, there is no doubt that waste disposal management is an important area in life that every person should focus on. Households and authority’s alike are concerned about the proper waste disposal management for two main reasons: for environment protection and everyone’s health and safety. Waste and rotting garbage can cause air and water pollution. When unattended to and untreated, these can emit harmful gases that mix with the air and could cause breathing problems in people. Many types of waste can also be polluting to the soil, ground water, and surrounding habitat. Therefore, for the protection of the environment and human’s health welfare, it is necessary that every household, with the local authority’s assistance, should take the initiative to know and practice proper waste disposal. Gasification is a little bit different from the most popular thermal burning process of waste disposal – incineration. In this method organic waste materials such as food, human and animal waste, garden and lawn clippings, are decomposed by exposure to low amounts of oxygen and very high temperatures. Gasification is advantageous as it reduces waste fast and does not cause any air pollution during the burning process, and recovers energy. Pyrolysis is almost the same method as gasification. The only difference that during the burning process of pyrolysis, absolutely no oxygen is used to burn the waste and recover energy during the burning process. Sanitary landfills are probably the most popular waste disposal management there is and are used by most countries in the world. These landfills are designed to reduce the risk of environmental and public health hazards that can be incurred from improper waste disposal. These landfills are located in areas where land features work as natural buffers between the environment and the landfill. For example, a landfill has been situated in an area where clay soil is present. Clay soil is quite resistant to hazardous waste, therefore a good candidate to dump this type of waste. Landfills can also be situated in an area without any bodies of water nearby, reducing the risk of water pollution and contamination. Although it can be very costly, establishing sanitary landfills for a community’s waste disposal management, it is still the best option to go to as it prevents the least health and environmental risk, especially when landfills are managed properly and continuously. Bioreactor landfills are just sanitary landfills that use microbiological process to speed up the waste decomposition, therefore creating more space for the next waste disposal of a community. Bioreactor landfills require the continuous addition of a liquid solution to sustain the optimal moisture for microbial digestion. Mechanical biological treatment is a waste disposal technique where a variety of waste materials, such as plastic, paper, and glass, are fed in bulk into waste treatment plants. This process extracts the recyclable content found in the waste and converts it after to calorific fuel that can be used by cement-manufacturing plants and power plants. Biological reprocessing is another technique where waste materials that are organic in nature, such as plant material, food scraps, and paper products, are recycled through the use of biological composting and digestion process. This method decomposes the organic matter and the resulting material is then used as compost for agricultural and landscaping purposes. The waste gas emitted from this process, such as methane, can be captured as well for generating electricity. With this kind of waste disposal technique, no waste is ever a waste, since everything can be recycled and reused when processed correctly. Recycling is a waste disposal technique that has been present throughout the years. Basically just the process of extracting resources or value from waste and waste materials, recycling is a method every household is aware of. With this method, waste materials are recycled into a whole new product, although it can also mean simply reusing some of the materials such as bottles, papers, and boxes. 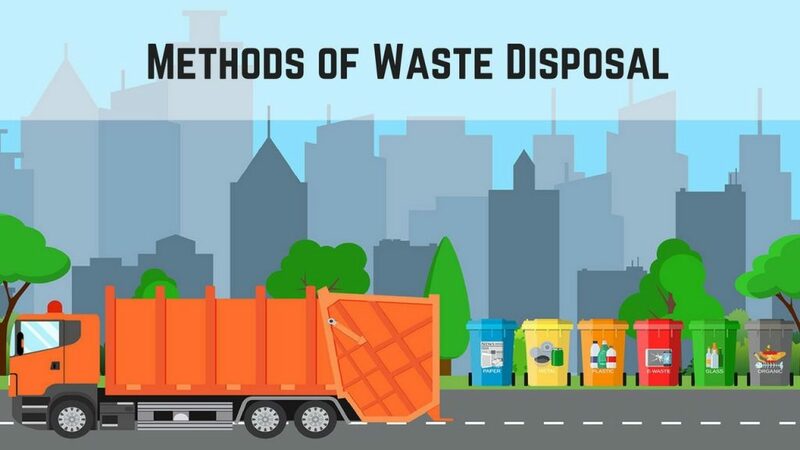 Apart from these methods, there are still a lot of waste disposal techniques present today, and there will be a lot more in the future, especially to the advancement of technology that the world is continuously being blessed with. The bottom line is, however, no matter which technique one should follow, proper waste disposal is everyone’s task and duty to fulfill. For the protection of health welfare and the preservation of the environment, everyone should be aware of the proper waste disposal techniques; and these techniques should be effective, easy to follow, and most importantly, not damaging to the environment and people around it.